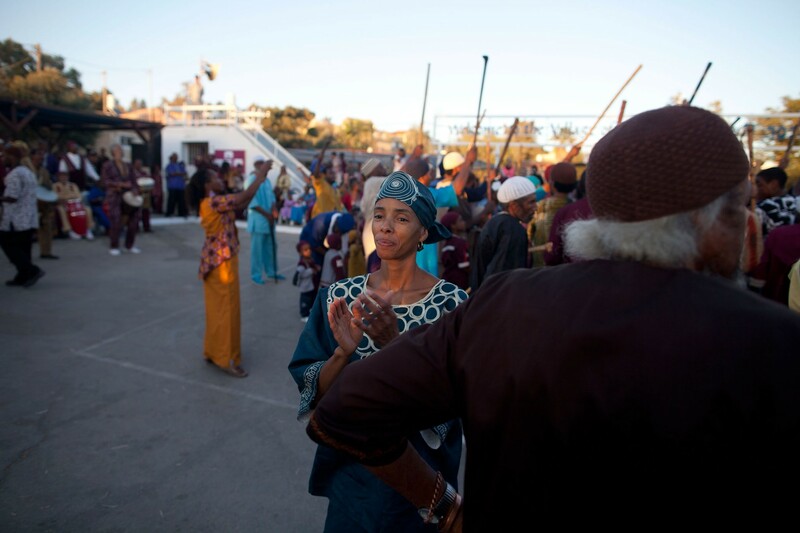 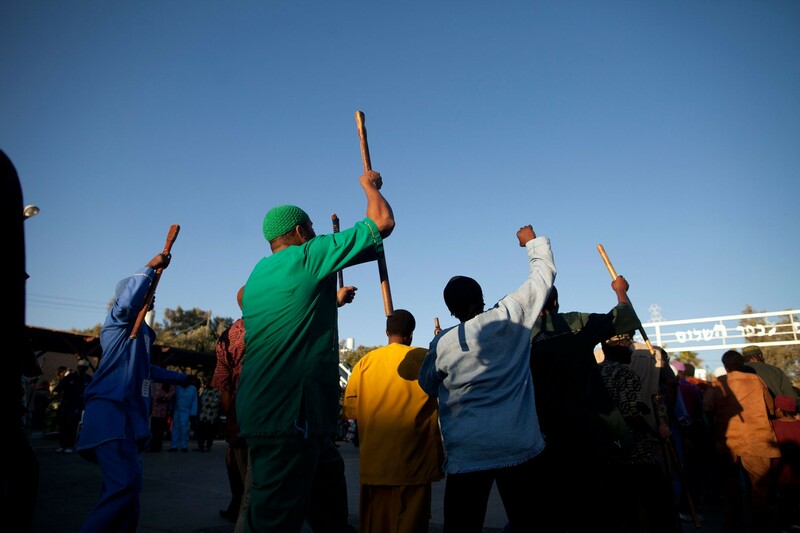 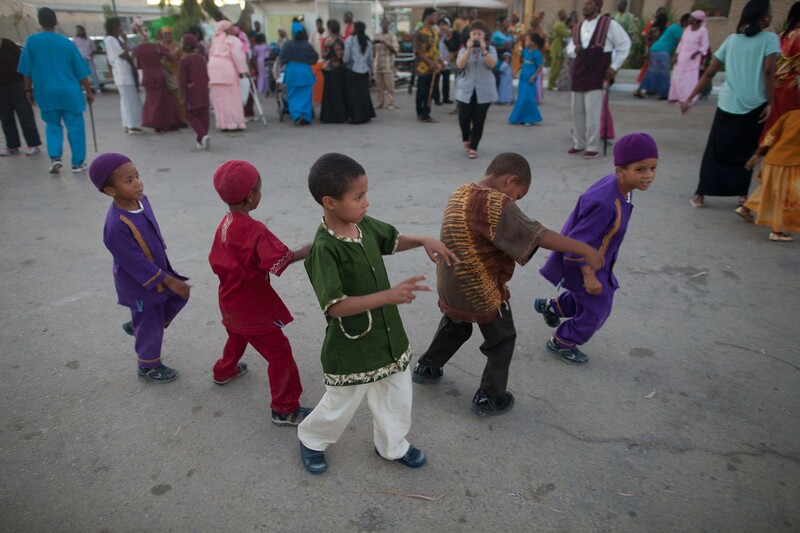 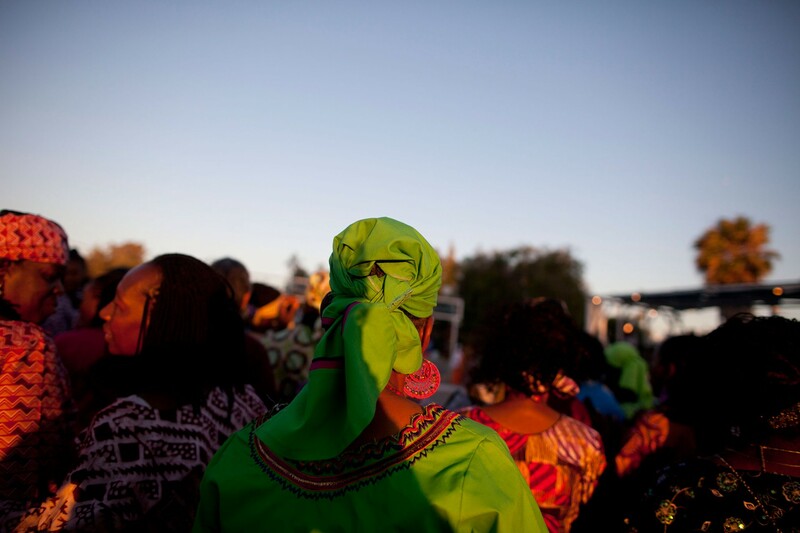 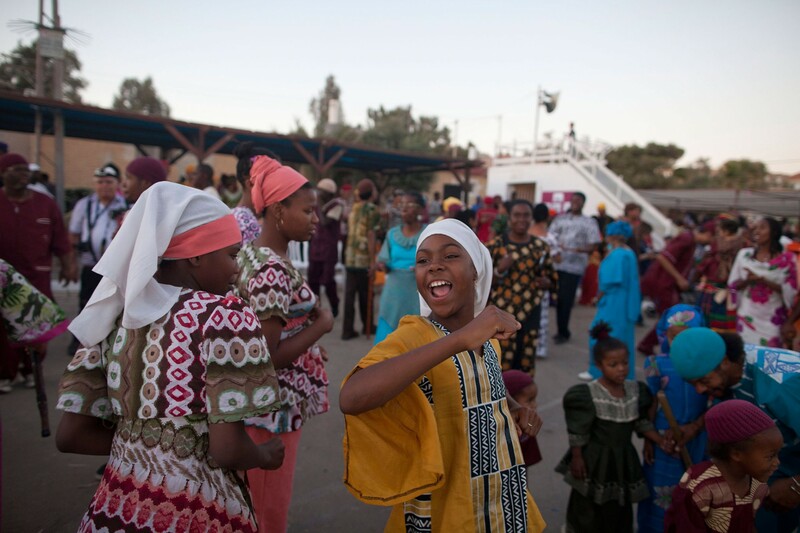 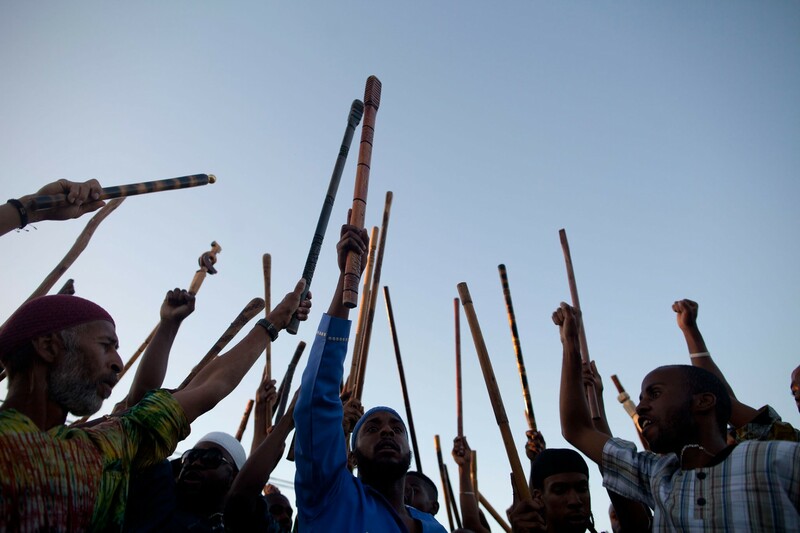 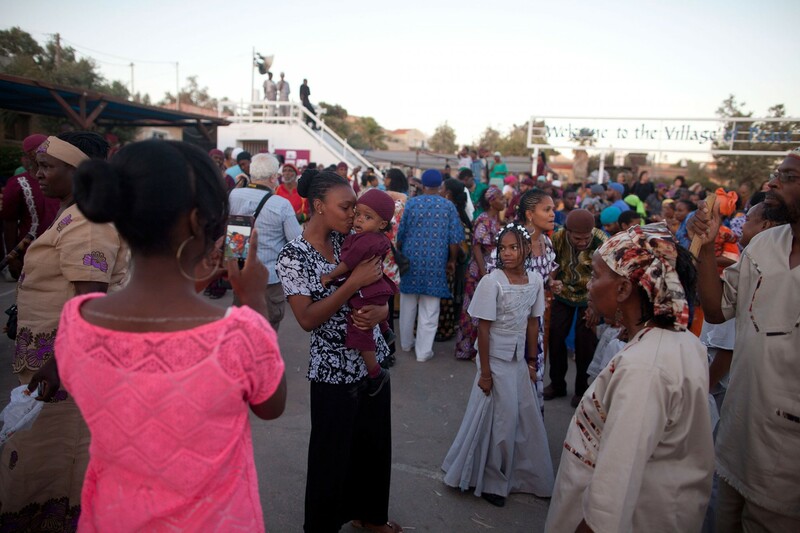 Members of the Black Hebrews community during the celebration of Shavuot harvest festival on June 15, 2014 in Dimona, Israel. 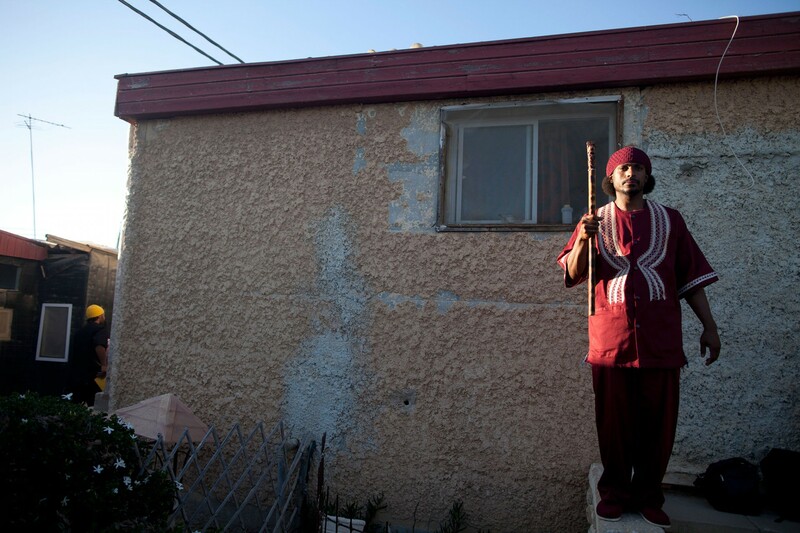 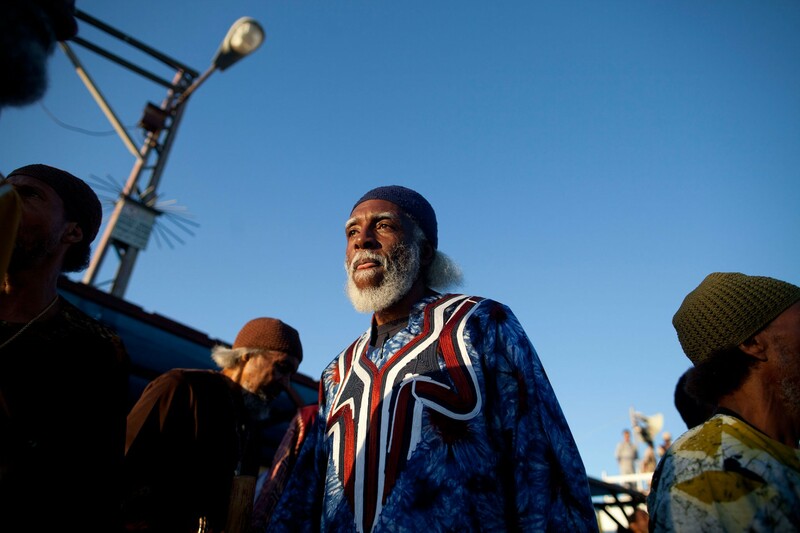 The community, who call themselves the African Hebrew Israelites of Jerusalem, moved to Israel in 1969 from the United States and have since maintained a vibrant culture which includes a communal lifestyle and a vegan diet. 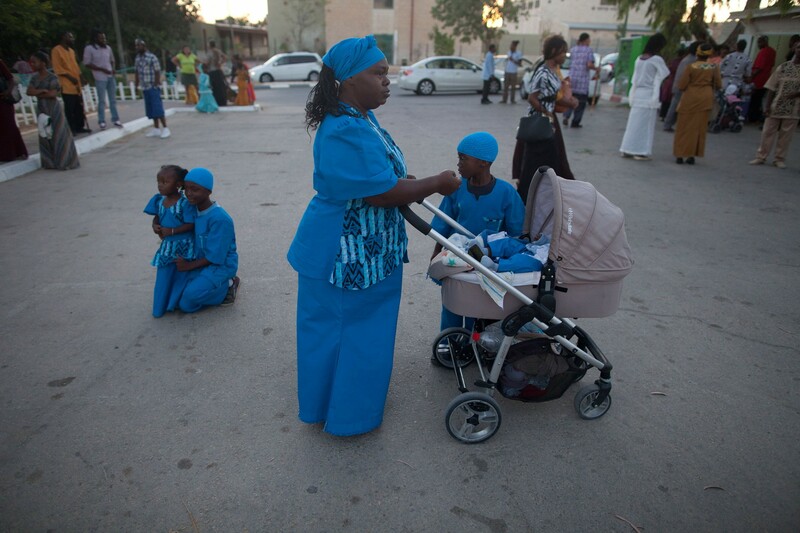 They are not recognized as Jews by Israel despite their belief in the Torah, but were granted permanent resident status in 2003.